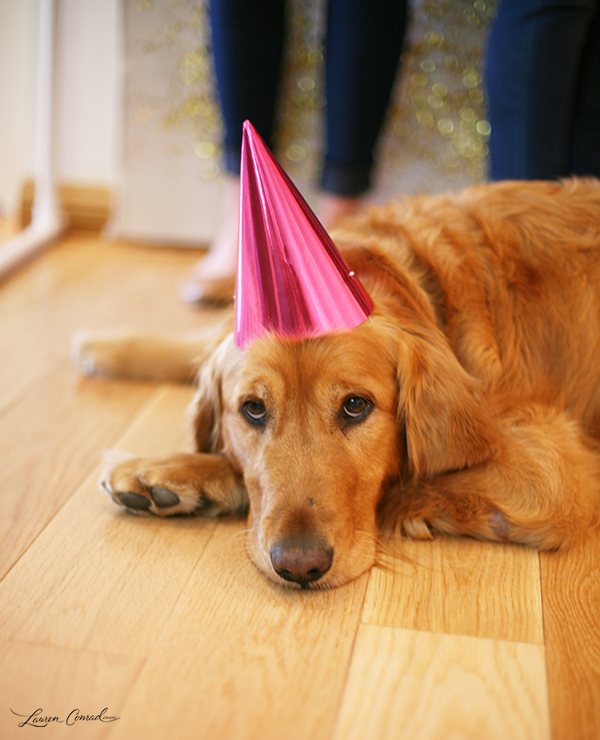 As you probably know by now, all of your LC.com editors are big advocates of handcrafted party décor. From DIY cake toppers to glittery garlands, it’s the best and most cost-effective way to give your party a personal touch. 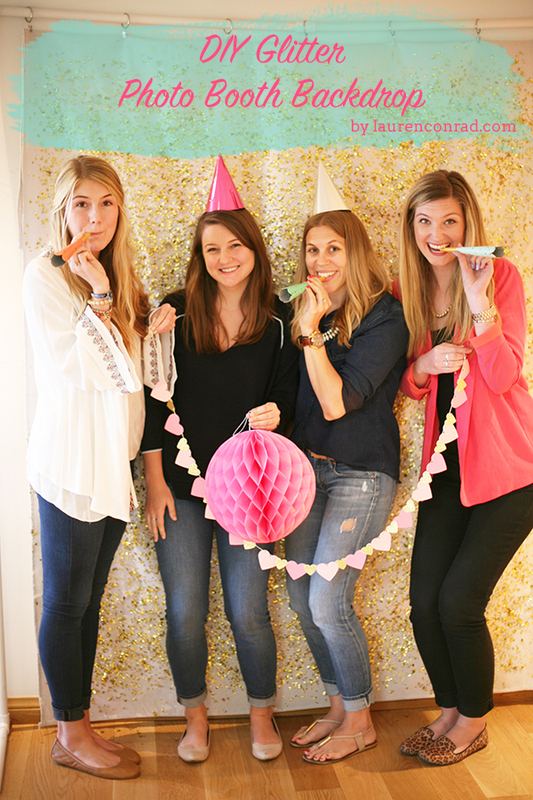 With that in mind, we are very excited to share this fun DIY photo backdrop from our friends at Inspired By This. Whether you’re looking for a custom backdrop for your wedding photo booth or simply a sweet spot for friends to snap Instagrams at your next party, we think you’ll love this glittery DIY. 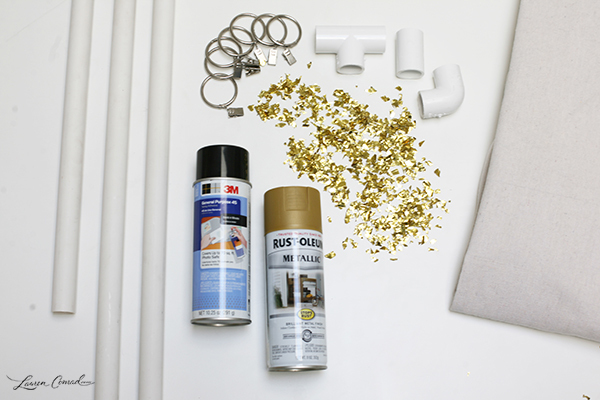 Gather all of your PVC pieces to start creating your backdrop frame. First, Connect the two 3-foot-long pieces with a coupling in the middle to create a 6-foot-long top bar. Add the elbows to the ends of this 6-foot piece. Connect the 7-foot-long pipes to these elbows to create a big “U” structure. Secure the tees to the bottom of the 7-foot poles and connect the 1.5-foot pipes to either side creating “feet” for your backdrop. Voila! Stand it up and you have a custom glittering backdrop for your next party. There are so many variations on color, pattern, and texture that you could do with this process so feel free to have fun with it. Make it your own! 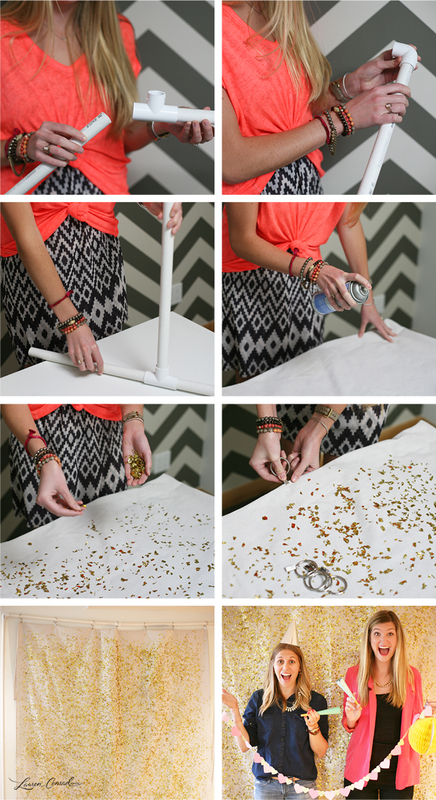 Are you going to try this sparkly party DIY? Let us know if you have any other fun decorating ideas in mind.